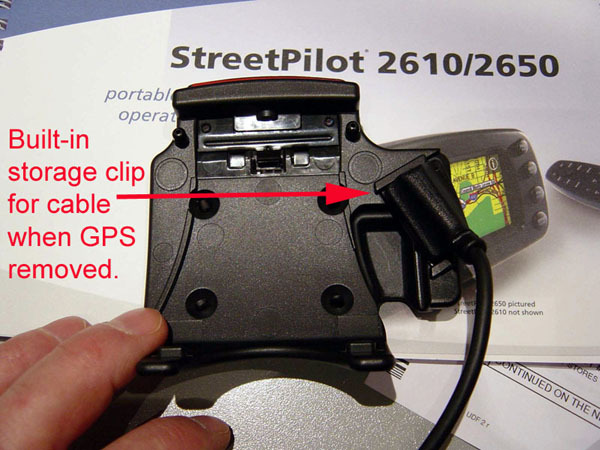 Here is some information about the motorcycle mount for the Garmin StreetPilot 2610 and 2650 GPSR. I am quite excited about this product, because it is the first time that Garmin has made a mount specifically for those of us who ride touring motorcycles. This is good news, it means they are quite attentive to our needs. The mount will be fairly inexpensive – I don’t know Garmin’s official price for it, but one reseller already has it listed at USD $35, which is very good value considering it includes the bracket and a rather complicated cable. Although the bracket will hold either a SP 2650 or a SP 2610, the kit includes a cable suitable for a SP 2610 - meaning, no speedsensor input. 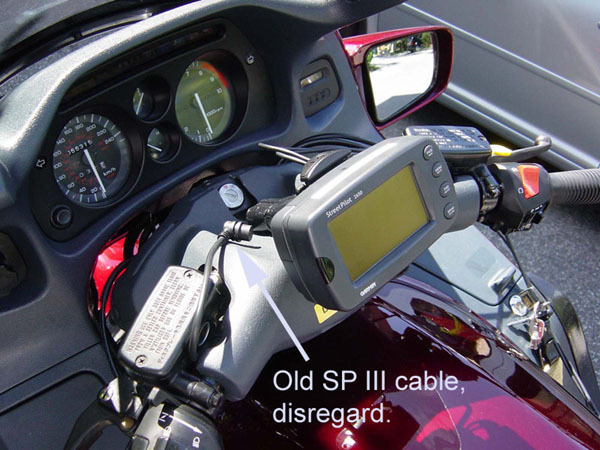 If you have a SP 2650 and want to hook up a speedsensor input from your motorcycle (only practical if your moto has an electronic, not mechanical, speedometer signal), you will need to buy, additionally, a special SP 2650 cable. The motorcycle mounting bracket is designed to be screwed directly onto a standard Ram-Mount ball plate. It has 4 bolt-holes in it, with exactly the same spacing between them as the 4 holes on the SP III automotive mounting bracket. It can also be mounted on to a flat plate if you wish, there are little tabs on the back that will stabilize it against the plate. No special adaptation of the GPSR itself is needed. The mount includes a well thought out security feature – a very small machine screw that has a special, high-security head on it. 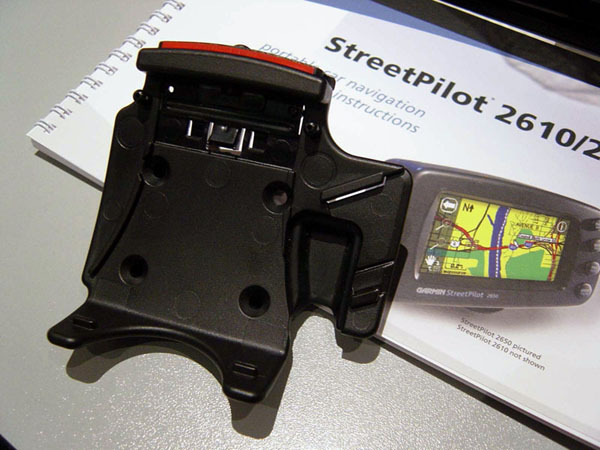 This prevents the GPSR from being removed from the bracket unless you have the appropriate tool. 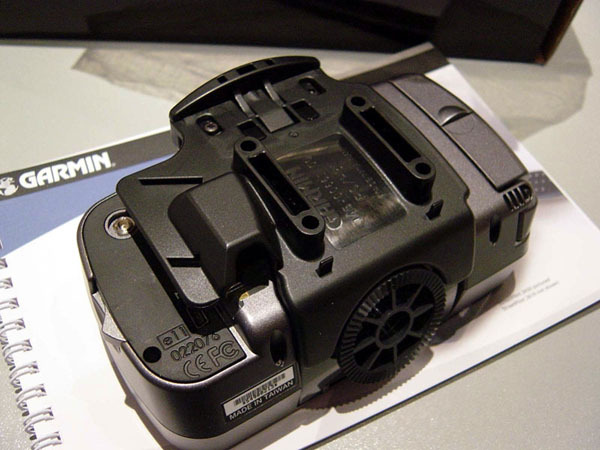 I don’t believe Garmin will include the tool in the kit (the bracket works perfectly well and holds the GPS very securely without using the security screw), however, you should be able to buy either a screwdriver or a small socket tool to fit this special security head from any large tool dealer. I bought driver designed to fit on the end of a socket wrench, and I carry it in the pocket on the right side of my fairing. I don’t want to say here on the BB what kind of head the security screw has – who knows, maybe GPS thieves read this BB. But suffice to say the level of security it provides is good enough to let you leave the GPS in place while you go have lunch, make a pit stop, walk around at a rally, etc. I don’t think I would leave it in place overnight if I parked the moto on the street, because a determined thief could just rip the whole mounting system off, security screw and all. But this past summer, I always left it in place whenever I parked in reasonably secure (attended) parking lots. This motorcycle mount is a very well designed and carefully thought out product. 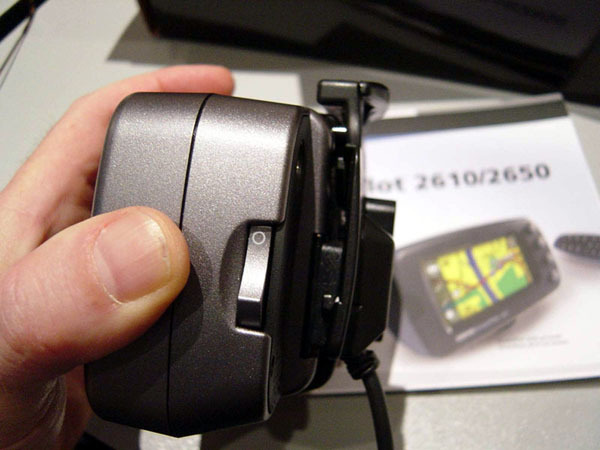 Garmin has not put their name or logo anywhere on the bracket where it could be seen, so that the presence of the empty bracket on your moto does not suggest to potential thieves that there is an expensive GPS stowed away in your saddlebag. 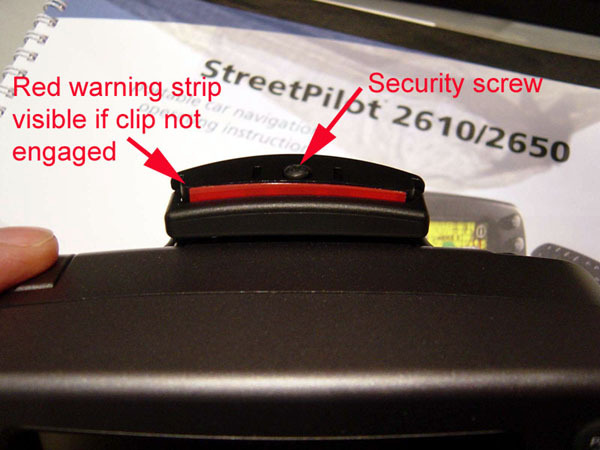 There is a red warning strip that very clearly warns the rider if they have failed to properly secure the GPS in the bracket by pressing down on the sliding clip at the top. I rode from Toronto to Vancouver and back this past summer using a pre-production version of this bracket (mechanically identical, only the electrical connecter was slightly different) and I was very happy with it. 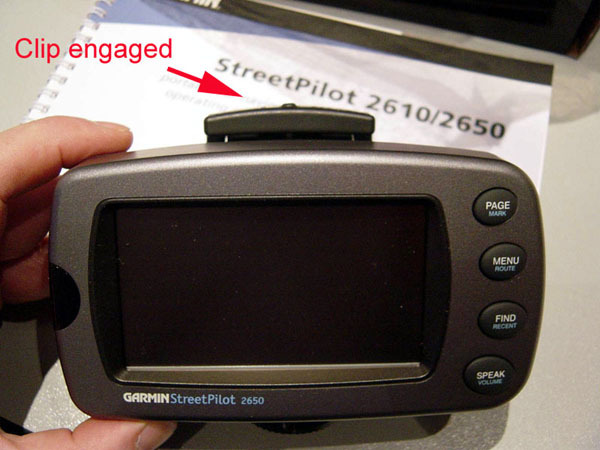 It holds the GPS securely, and it takes only a few seconds to install or remove the GPS.